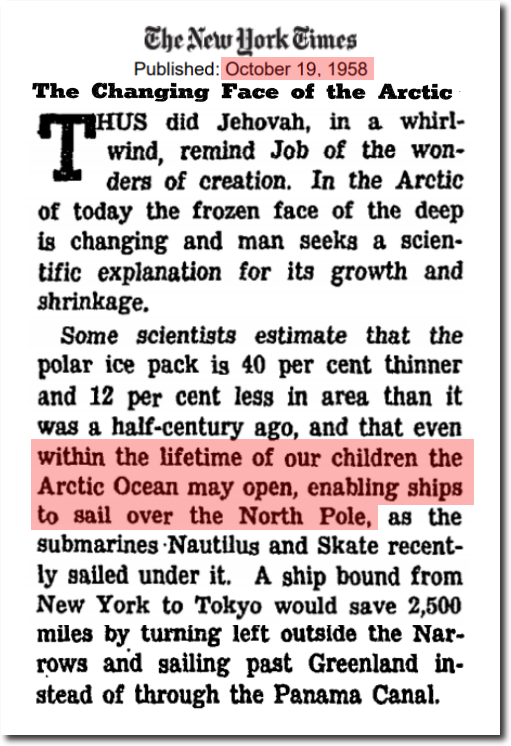 And 60 years later, both the Northwest Passage and Northern Sea Route are blocked by 12 foot thick ice. Reggie better get his blowtorch out from prison. Sea ice volume has hardly changed since the peak earlier this month. There has been almost no change in extent over the past three days. Red below shows decrease since May 13, green shows increase. But no worries, the Democrat’s #1 climate prophet says the Arctic will be ice-free this summer. 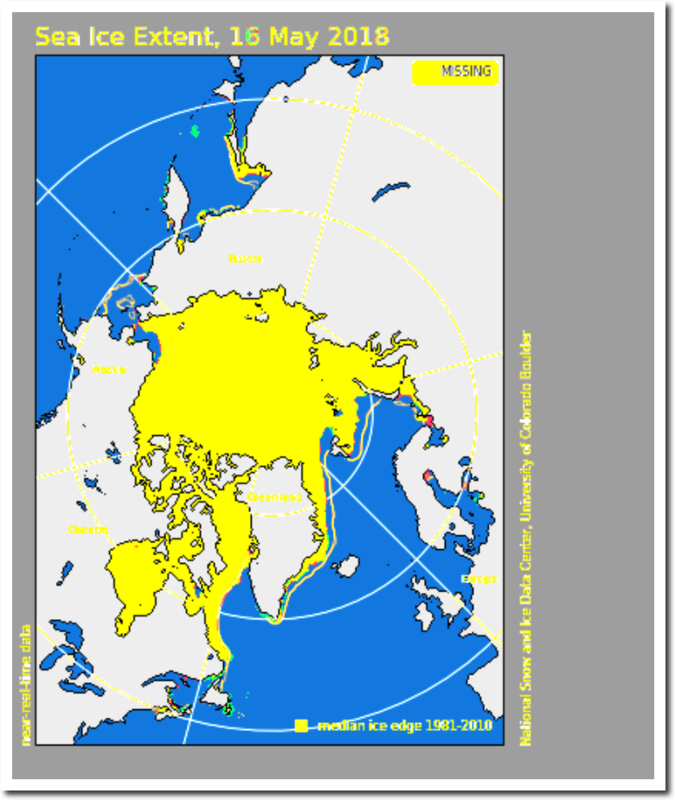 And Nobel Prize Winner Al Gore says the Arctic has been ice-free for four years. 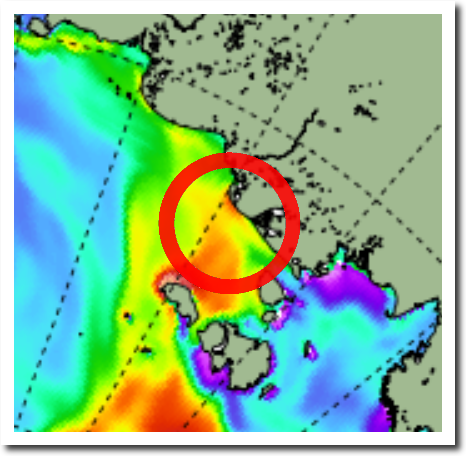 Even if the temperature keeps dropping, AGW is like a blow torch aimed at the Arctic and it is not going to wait for the temperature to go up, it is happening now! Seth Borenstein , so boring … Who has the time to read his nonsense ? I wonder that arctic ice still exists. Considering that all the AGW scare is nothing but hot air a fraction of it should be enough to melt away the north and southpole within a few hours. even with the new Russian ships they aren’t open for months yet. Poor groff, desperately clinging to ice straws. 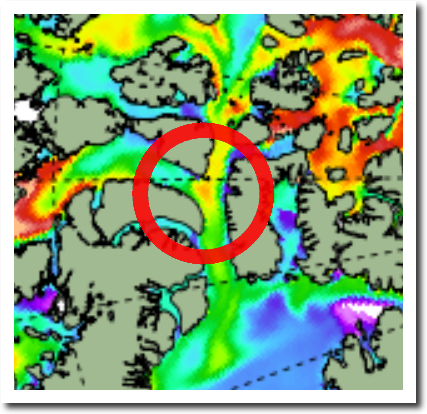 Nice shipping route – which might be good for three days a year if they get lucky and have a big icebreaker.. This diminution of northern ice is something that the Russian ship owners believe will continue well into the future. 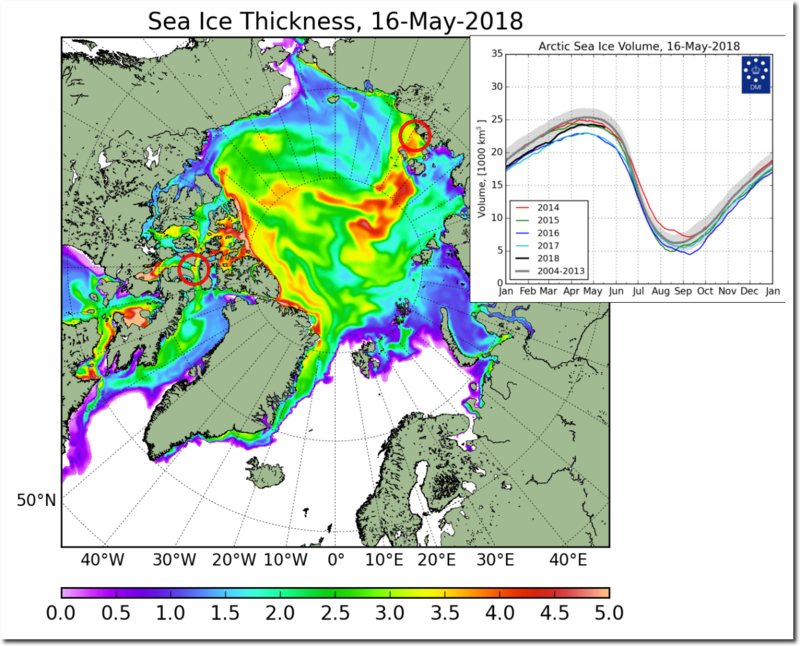 “If there was a material change in the ice thickness it would change the period of the year that the ship could move through the Northern Sea Route,” said Bill Spears from Sovcomflot. Unfortunately, their assumptions will almost certainly turn out to be wrong, because they are probably based on the anti-science junk of the AGW narrative. Its more wishful thinking on their behalf, a HOPE that it will continue to decline. 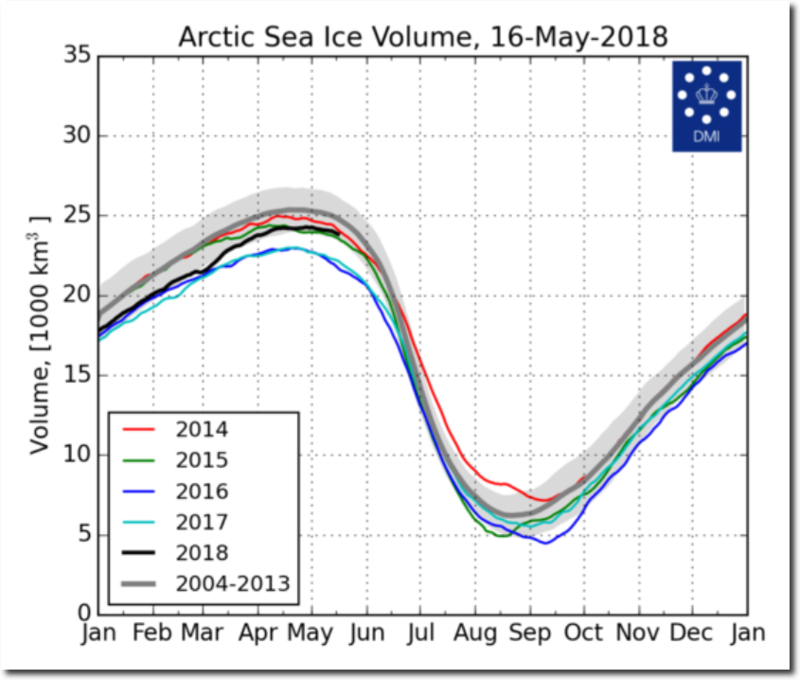 So WHY do you think it should remain high, and it is such a catastrophe that it has declined from the most extreme sea ice extent since before 1900? Why do you want the people up there to suffer through continued extreme extents, instead of the more NORMAL extents of before the LIA ? Is your hatred that deep ? Not open for months means the end of summer when the ice begins forming again. It really does NEED to be open for a lot longer, doesn’t it griff. Great to see you finally agreeing that a LESSER amount of sea ice would be a really good think, and nothing for you to continue to bed-wet about. Back even a small way toward more normal Holocene levels would be a great bonus to the people up there. Unfortunately, it looks like its going to follow the NATURAL cycles of the AMO and start to increase again. I don’t know that Griff has ever acknowledged the AMO. Perhaps Griff thinks “greenhouse gasses” are going to interrupt that cycle. Last time the AMO was scraping along the bottom, I walked on the Ohio River in January – and that was during a period of much higher sunspot activity than now. Although it’s going to be many years before the AMO hits bottom again (currently riding the wave crest), hopefully the solar system won’t be experiencing Dalton or Maunder type of minimum solar activity the next time it scrapes along the bottom. That could be devastating for crops. What if the NYT was referring to people who would be very late breeders? Like all those women that gave birth when they were 95 years old. I think Griff is a product of late breeding. Still, the NYT has no time for such things these days, too busy pursuing Russian links to anyone they can think of. Some folks have settled for “ice free” to be defined as less than 1 million square kilometers, sometimes called a “Wadham” after Peter Wadhams of Cambridge. Rumor has it that this odd number will have to be changed to 3 million, or maybe 5 million. A UN party of thousands will have to meet for 2 weeks in an exotic place to discuss and vote on this. Once “ice free” is properly defined, and the goal reached, Gore, Markey, Hansen, and Wadhams** can be be carved on a large block of basal (Ochroma) wood and hung on the NYT building. John, I’m considering making a legal claim to all the land in California. As it’s only 423,970 sq km, it must be “land-free”. As I’m asking for “nothing”, I can’t be legally denied. Oh, and all the nutjobs who prescribe to the ice-free Arctic nonsense will be forced to leave. It has remained cold in Northern Canada. Churchill (hudson bay) was -6C yesterday, and will have a high of 0C today. They had a major blizzard last week. Breakup will be delayed. It appears to just have been getting a bit warmish in the south, only since today. June and July will be interesting for the Arctic sea ice volume and extent. The observed rise in the chart coincides with atmospheric bias southward, look at the Antarctic blozone activity for the same period.